Captain Marvel reshoots are underway as a batch of set images has hit the net from Los Angeles, which offers a look at Clark Gregg as the young Phil Coulson. The pics also interestingly enough happen to feature Brie Larson smiling and wearing the green costume. The release of the first Captain Marvel trailer saw fans complain that Brie Larson was too emotionless with comparisons to Henry Cavill's Superman. Marvel Studios is using special de-aging technology for both Clark Gregg as Phil Coulson and Samuel L. Jackson as Nick Fury, as the movie is set in the past in the year 1995. Just Jared posted the pics. 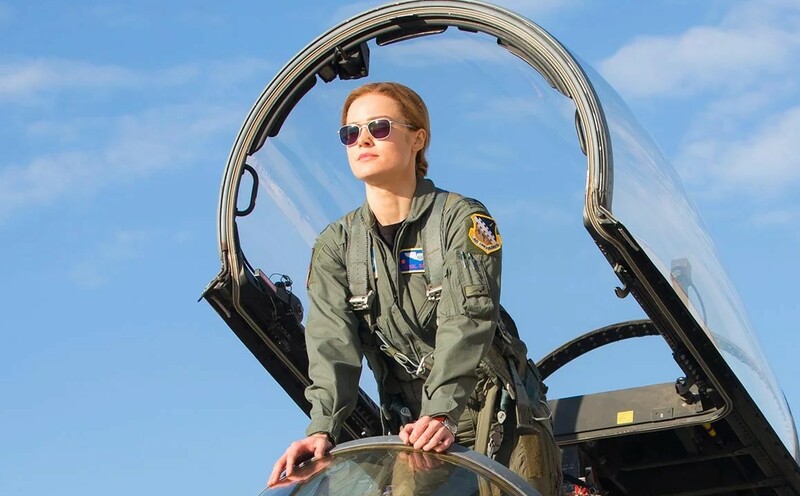 Captain Marvel has a March 8, 2019 release directed by the writing/directing team of Anna Boden and Ryan Fleck and stars Academy Award winner Brie Larson, Samuel L. Jackson, Ben Mendelsohn, Djimon Hounsou, Lee Pace, Lashana Lynch, Gemma Chan, Algenis Perez Soto, Rune Temte, McKenna Grace, with Clark Gregg, and Jude Law. Captain Marvel follows Carol Danvers as she becomes one of the universe’s most powerful heroes when Earth is caught in the middle of a galactic war between two alien races. Set in the 1990s, the film is an all-new adventure from a previously unseen period in the history of the Marvel Cinematic Universe.